This is by far the most significant of my compositions. It is a 60-minute oratorio for chorus and orchestra, with mezzo-soprano and baritone solos. It was commissioned by my friend and colleague Judy Sadler Marlett and includes settings of 8 letters authored by her ancestors: Tyler, Lanie, and Percy Houghtaling. Percy was Judy’s grand-father, Lanie was his mother, and Tyler (a member of the New York 94th Regiment, Company C during the Civil War) was Judy’s great-great grand-father. The outer movements are bookend settings of an excerpt from Walt Whitman’s “To Think of Time.” Solos were specifically composed for Judy (an extraordinary mezzo-soprano) and Daniel Belcher (Grammy-winning baritone). While some movements were premiered by the Manchester Symphony Orchestra, the complete work was premiered at Northwest Nazarene University in Nampa, Idaho (where Judy is Professor of Music). The completed work had it’s Indiana premiere in October of 2017 with the Manchester Symphony & Chorus plus Manchester University choirs and choral ensembles from Warsaw, Northfield, and Fairfield high schools in the area. 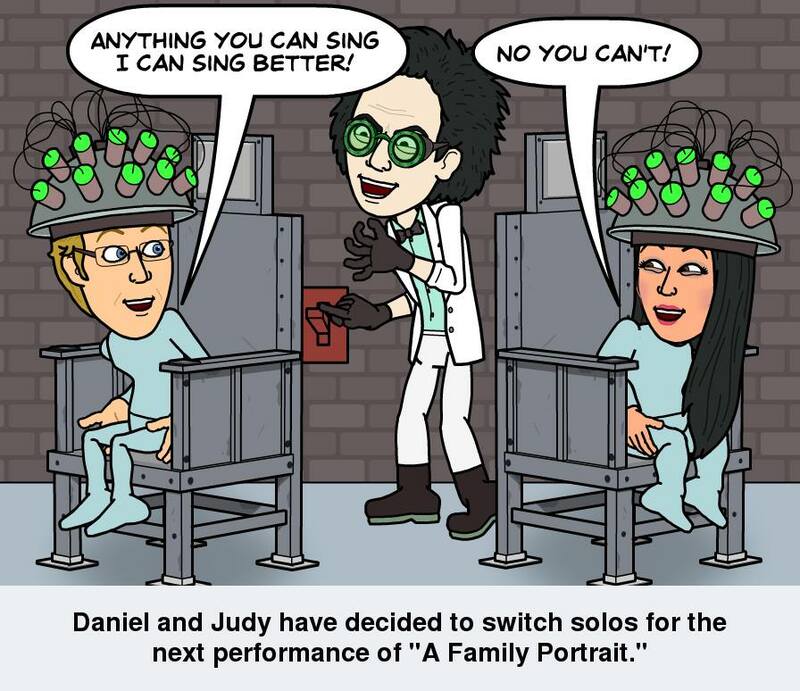 Soloists were the wonderful Judy Marlett and Daniel Belcher, for whom the solos were composed. Several interviews and materials from that performance are linked below. The final link is to the PBS Broadcast of the performance itself. Below are photos of Lanie’s last letter, and also various rehearsals and performances. 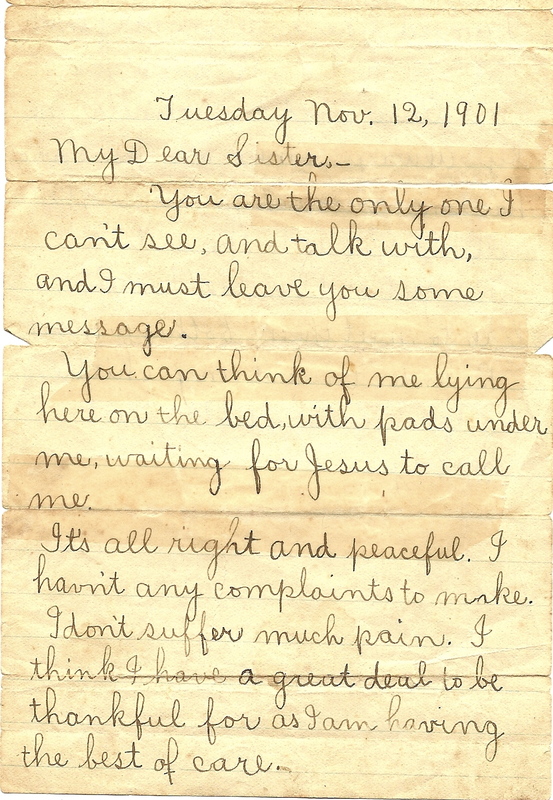 Page 1 of Lanie’s final letter to her sister, Etta. 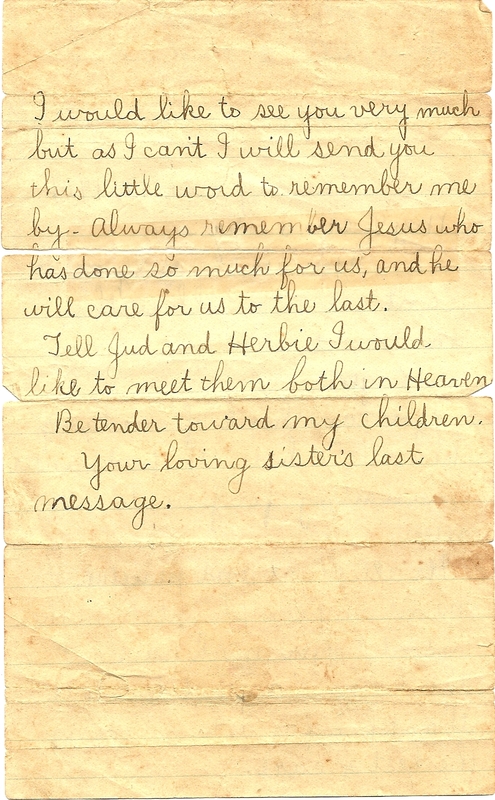 Page 2 of Lanie’s final letter to her sister, Etta. Dress rehearsal footage of Judy Marlett singing the words from her great-grandmother’s final letter (shown above). Click on any of the photos below to see them enlarged and captioned. Lanie’s dress. It was actually too small for the mannequin! She was one teeny-tiny lady. MSO Maestro Scott Humphries addressing the audience. I am always so honored to have Daniel Belcher perform with us. He is a great talent, and always so approachable for our students. My own family after the performance: mom, dad, and my daughter Emily. Robert was probably putting his cello away. A solid men’s chorus is vital during the three soldier letters. These guys did a terrific job. High School History Student Diorama for “Family Portrait” pre-performance event.